The industry-led MSSC is the nation’s leading training, assessment and certification organization focused on the core technical competencies needed by the nation’s frontline production workforce. The MSSC’s Certified Production Technician (CPT) is based upon industry-defined, federally-endorsed, and nationally validated skill standards. It provides a solid foundation of technical and employability skills applicable to all of some 6 million front-line manufacturing production jobs in the U.S.
CPT offers both entry-level and incumbent workers the opportunity to demonstrate that they have acquired the knowledge and skills increasingly needed in the technology-intensive advanced manufacturing jobs of the 21st Century. Under its motto, “Certifying the Industrial Athlete of the Future,” MSSC is focused on building the agile, next generation production worker able to keep pace with technological change and rapidly acquire the skills and knowledge to fill a wide variety of production jobs. The CPT certification addresses the core technical competencies of higher skilled production workers in all sectors of manufacturing. MSSC awards certificates to individuals who pass the industry-defined cut scores in any of its five Production Modules: Safety, Quality Practices & Measurement, Manufacturing Processes & Production, Maintenance Awareness, and Green Production. It awards a full CPT Certification to those who have passed the first four Modules. Green is not yet required for full CPT Certification. MSSC has also developed an analogous certification, Certified Logistics Technician (CLT), for frontline material handling and distribution workers. It is the only national industry certification body accredited by the American National Standards Institute (ANSI) under ISO Standard 17024 (Personnel Certification) for both manufacturing and logistics. MSSC has been vetted and is used by the federal Departments of Labor and Education, the Army, Air Force, Navy and Marines, the VA, Job Corps, the federal prison system, and the agencies for workforce development and education in most states in the U.S. The MSSC’s national Production and Logistics Standards, the substantive foundation for CPT and CLT, remain the nation’s Gold Standard for defining the core technical competencies for both manufacturing and logistics. In 1998, the federal National Skill Standards Board formally recognized MSSC as the “Voluntary Partnership” of industry, education and labor for all sectors of manufacturing and officially endorsed MSSC’s national Production Standards in 2001, which were developed and nationally validated by 700 companies, 378 educational organizations and all the industrial unions. MSSC reviews its national standards annually with industry subject matter experts to ensure that they are keeping pace with industry best practices and technological change. 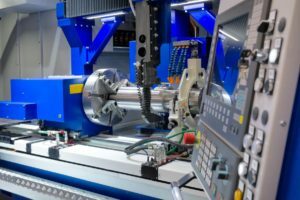 For example, the MSSC Production Standards have long included advanced technologies, such as CNC, PLCs, Robotics, Lean Processes, Sensors, Lasers and Total Productive Maintenance, but the 2015 Edition has added newer technologies that are increasingly becoming common practice. These include 3-D Printing, Internet of Things, Mechatronics, Mobile Internet, Nanotechnology, and Next Generation Robotics. The CPT Safety Module now includes the new Global Hazmat System and enables trainees to acquire both OSHA-10 cards together with the CPT Safety certificate within the same course of instruction. MSSC standards have long included an introduction to the world of manufacturing, its importance to the nation’s economy, and basic employability skills such as teamwork, communications, and problem solving. The 2016 CPT training will also add a detailed list of “good conduct” skills, such as reporting to work on time, adhering to company substance abuse policy, and respecting company property, tools and equipment. Based on its annually updated standards, the MSSC offers computer-simulation based courses delivered by Amatol, an extensive instructors resource library, instructor training, assessment center training, assessments, a national registry, and diagnostics tools for employers. Now institutionalized, MSSC delivers its CPT and CLT training and assessments through a delivery network of some 1636 MSSC-trained instructors and 944 MSSC-authorized assessment centers, mostly at community college and secondary schools, in 49 states. Elimination of remedial training costs by providing workers with at least grade 9-10 math and reading skills. 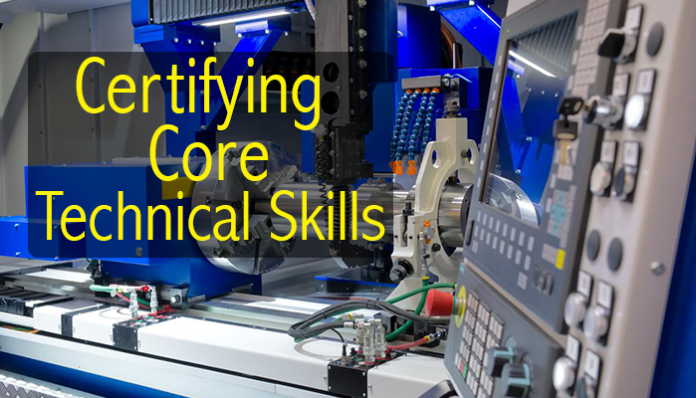 Certifications that are highly motivating for workers, build their self-confidence in working in an advanced manufacturing workplace, and increase retention rates. The key to MSSC’s success is employer demand. If companies are committed to securing a pipeline of better qualified job applicants, they need to express their commitment to giving preference to individuals with MSSC CPT Credentials. At no cost, companies can express that preference in job ads, in instructions to their job recruiters, and in communications to area schools and state education and workforce training agencies. Companies can articulate that preference to state and federal agencies either on their own letterhead or through their trade associations, state manufacturing associations, or chambers of commerce. MSSC also encourages employers to offer summer internships to students/trainees going through the MSSC training program, to provide incentives to entry-level and incumbent workers, and to encourage their suppliers to increase quality by recruiting CPT Certificants. Companies should also encourage area high schools, community colleges, and Workforce Investment Boards to offer CPT training and testing. 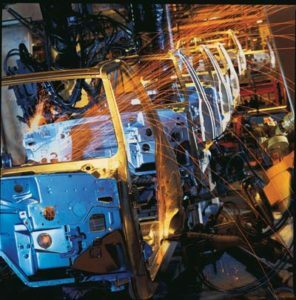 Many leading corporations are using MSSC to build their production workforce pipeline, including Harley-Davidson, GE Appliances, Toyota, Caterpillar, BMW, Cummins, Lockheed Martin, and Pace. MSSC Production and Logistics Standards are available without charge on the MSSC Web Site: www.msscusa.org. For further details, contact Neil Reddy, MSSC Executive Director at reddyn@msscusa.org.